I’m ready for Spring and this Let Love Bloom Peonies Printable is a great way to bring some Springtime into your home. I just love the vibrant pink colors in these flowers! It’s a gorgeous watercolor yet the colors are still intense. I just love DIY printable wall art. It’s such an easy way to update your home decor. This would be a beautiful addition to a gallery wall or anyone you want to put it in your home. 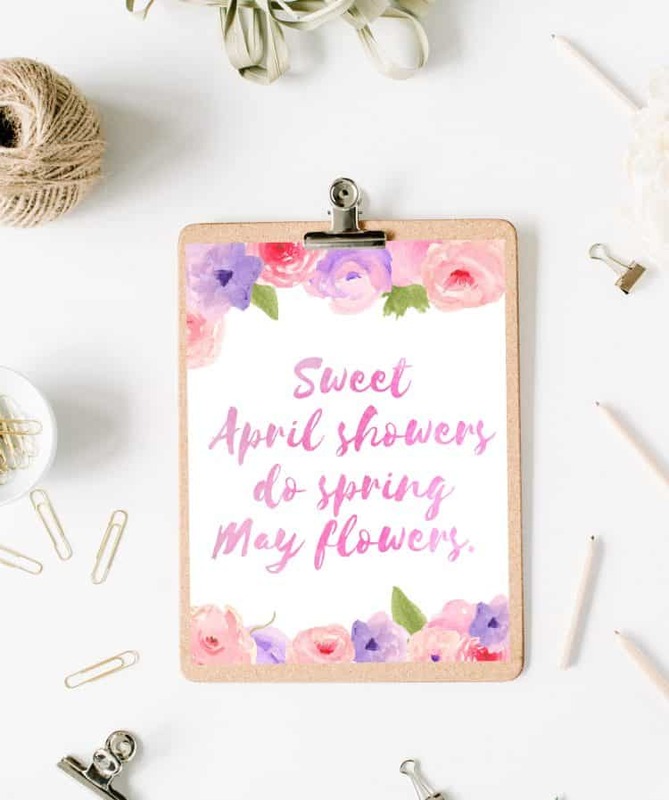 This free printable spring decoration comes in an 8″ x 10″ size. It’s super adorable on a cute clipboard. You can also easily at it to a frame… whatever suits your fancy. If you love free printables too than you’ll want to check out these other printables as well. You can download your printable by clicking on the image above. I hope you enjoy this Free Spring printable. For some strange reason, those flowers look so realistic and so beautiful at the same time! And those flowers seem like they are time-consuming just by making one. But they are so beautiful. Thank you for sharing and keep up the good work??? WoW, thx so much for such pretty Pre-spring printables. These will help time go by til real Spring and who knows when and what that -will be. Sometimes it goes straight from winter into Summer here. Actually feels like Spring now. Took our dog to dog park, didn’t need a jacket in February in western CO, were in our shirt sleeves today. Talk about global warming. So much for wearing my sweaters this year again, bummer. Is chilly enuf at night most times to wear sweaters but that’s about it. Talking on weather about bad drought with it so warm and no snow except in mountains. We barely had a white Christmas which was one of our brief snows and then another small one, that’s it for snow here. Am ready to go back to MT to get some good snow and sweater/parka weather. We lived in MT for 7 yrs.from May/92-May/99 when we went to KY for 5 yrs then here in Aug/2004. Before MT we lived in San Diego areas for 21 yrs, before that Tucson,AZ. Have you always lived in CA? What part of CA? Hope not where fires were. I’m in So. Cal. JaneEllen – thankfully no where near the wildfires last year.